Palau’s president has asked the U.S and Japan to help its tourism industry after Beijing reportedly barred Chinese citizens from visiting the tiny Pacific island due to its diplomatic links with Taiwan. 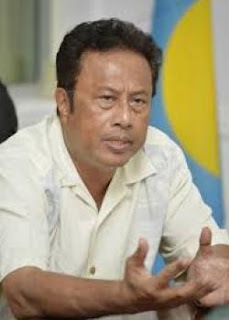 “I approached Japan, I said ‘please build one or two high-end hotel-resorts in Palau’,” he told reporters on Wednesday. He ruled out revoking Palau’s diplomatic recognition of Taiwan to gain favour with Beijing, saying “we are good friends … through thick and thin”. Chinese tourists accounted for 47 per cent of international visitors to Palau in 2016, with Taiwanese making up 10 per cent. However, Palau Pacific Airways said this month it had been forced to suspend flights because of a plunge in Chinese tourists.